Samantha Malave Zambrano, MD, is a family medicine physician treating patients 6 months of age and older. 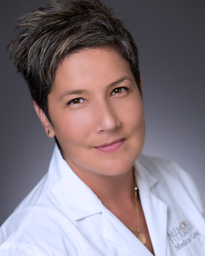 Dr. Malave earned her medical degree at Universidad de Oriente in Venezuela. She completed her residency at The University of Texas Medical Branch at Galveston. Board certified in family medicine, Dr. Malave treats patients for non-life-threatening injuries and illnesses, including allergic reactions, minor fractures and more. She is certified in basic life support (BLS), advanced cardiac life support (ACLS) and pediatric advanced life support (PALS). Dr. Malave is also fluent in Spanish. In her spare time, Dr. Malave enjoys doing yoga, taking part in outdoor activities and learning about new medical technology. Dr. Malave practices at Memorial Hermann Urgent Care Greater Heights.